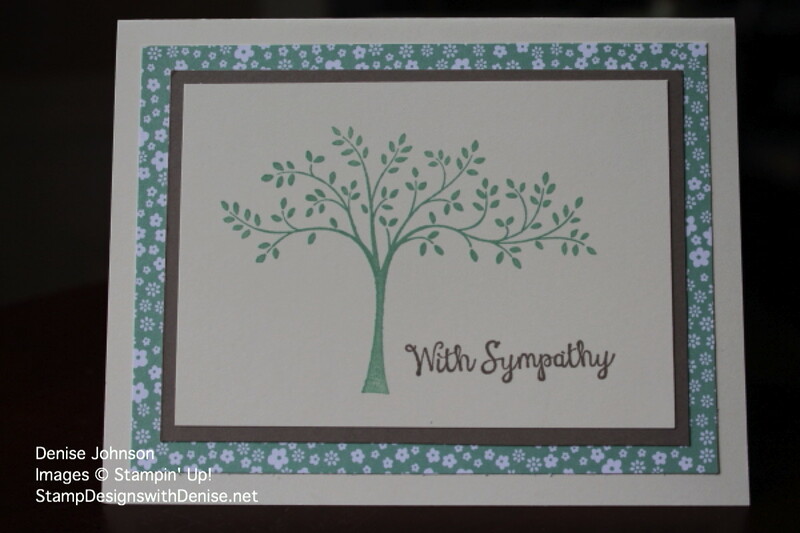 When sending Sympathy cards, I find that keeping the cards simple and graceful are the nicest way to express your compassion and concern. Fold and crease Very Vanilla card stock into card base. Layer on In color DSP and Tip Top Taupe. Stamp tree from Thoughts and Prayers in Mint Macaron ink in center of Very Vanilla mat. Stamp sentiment in Tip Top Taupe next to tree. Attach to layered card base.